Recognize. Organize. Deputize. My autocorrect keeps changing these and suggest they should be written with S and not Z. I always (read – most of the times) change them back. Even if the ugly dotted red lines glaring at me are trying to make me bent to their will. No. It looks better with Z. Z is strong where S is smooth. I don’t care if it is American or British way of spelling. It is more aesthetically pleasing. So is colour to color btw. Could we please establish aesthetic English? Autocorrect is not the only thing I have zero tolerance to (actually I seem to be dissatisfied with rather lot of things!) and therefore I have decided to start my own A to Z challenge about things I am not happy about. So this post is not only the last one for the A to Z Challenge but is also the first one for my alphabetical Zero Tolerance series. I just simply can’t part with the beautiful perfection of ABC. Every Wednesday, I will be publishing new post with a ‘serious’ issue I am faced with on daily basis. However as I feel this might get out of hand very quickly, I have decided to balance it out with a serious (without the apostrophes this time) issue starting with Zero tolerance to Animal cruelty. I will also try to include a link to a charity or an organization that is helping with, fighting, or educating about the issue. For this week it is RSPCA. 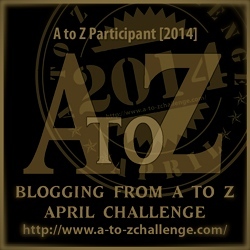 Z in the A to Z Challenge. Love the idea for your own theme – and fir choosing animal abuse as your first post. I’m with you there. I love the autocorrect comments too, though I get it the other way round, being a Brit in North America means I get Z where I want S! Thank you Drew – the idea came to me towards the end of the A to Z challenge when I started struggling a bit – it is always the way – running out of steam to finish one thing but overflowing with ideas for the next one!